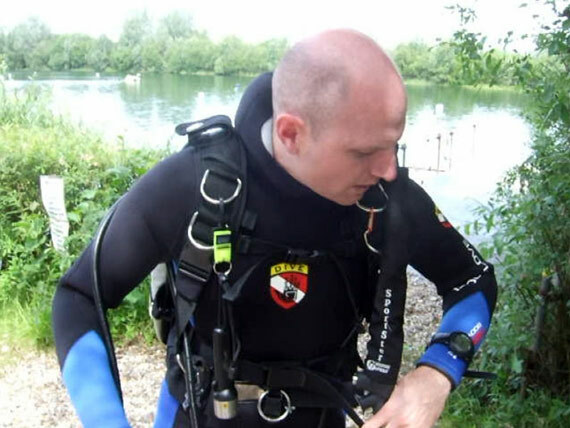 Can Body Glove tempt you out of that drysuit for the summer, at least? 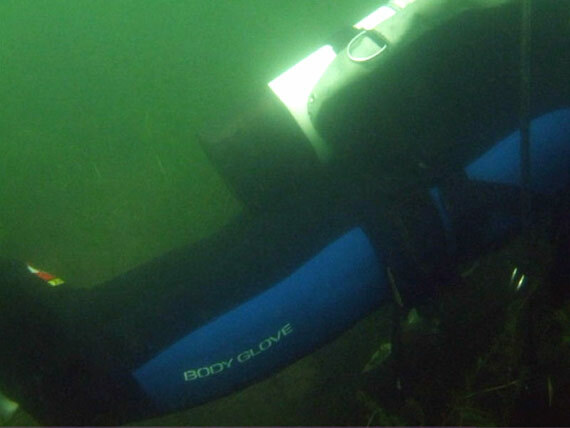 Body Glove hopes to tempt you out of your drysuit – for the summer months at least – with its new range of wetsuits. 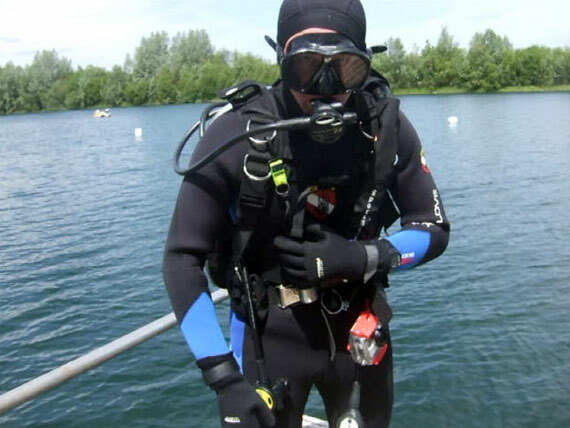 If you’re new to scuba, chances are you learnt to dive in a wetsuit, possibly overseas in lovely clear blue water. 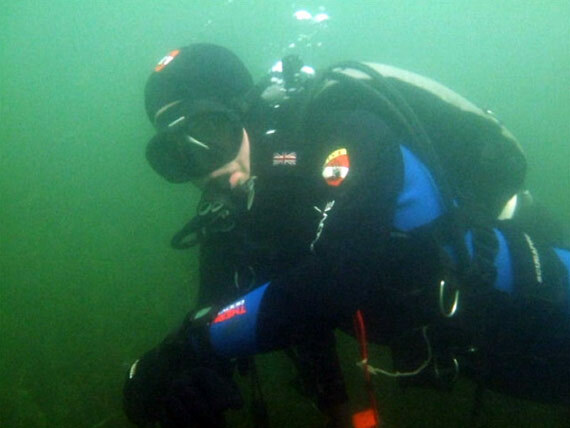 For those of us stuck in Blighty, a drysuit holds much more appeal for keeping the cold at bay. But not so fast, dudes: surf supremos Body Glove have released this handsome new range of wetsuits that might just change your mind. There’s a stylish 5-millimetre strictly for summer use, as well as a series of men’s and women’s 7mm alternatives. We tested the Thermo 7 suit, which can be purchased with booties, gloves and hood as optional extras. Suffice to say in the UK, you’ll be needing these. First impressions are good. Body Glove – which is perceived as a surf brand, as much as a dive one – certainly knows its stuff in the style stakes. 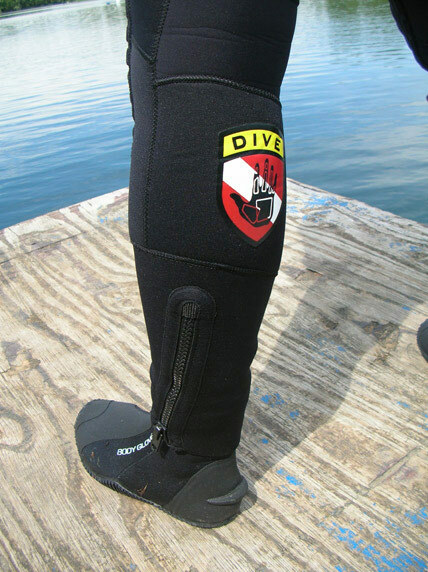 There’s plenty of quality neoprene here, anatomically cut, with distinctive badging so you won’t get mixed up with the Scubapros and the Cressis on the boat. There are vivid blue patches on the forearms and thighs, although the Body Glove Dive range of suits varies wildly, depending on thickness. Whichever your plump for though, it’s bound to be more interesting than mere black with white writing – the wetsuit industry norm. 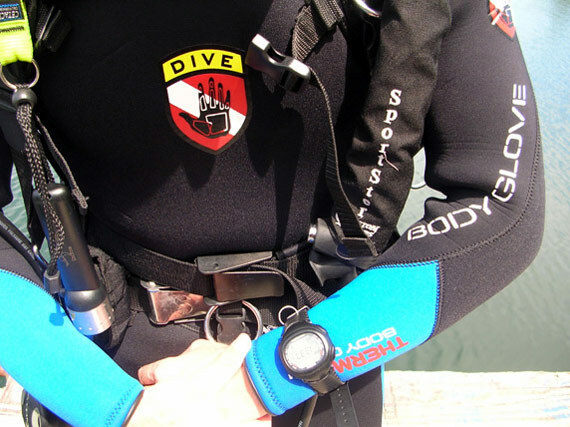 Slip into the water wearing the Thermo 7 and you’ll need quite a bit of weight on your belt unless you plan to go snorkelling. 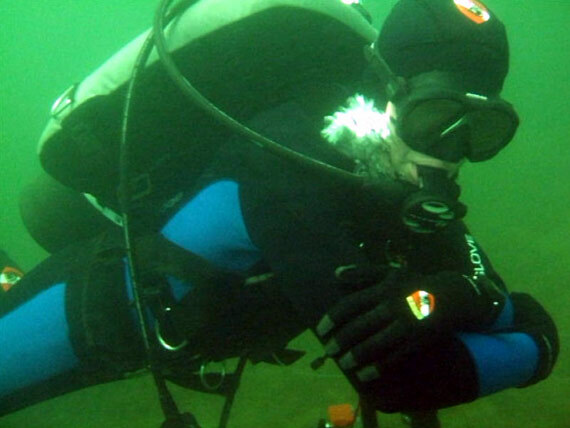 On a dive, the suit is comfortable without too much flushing thanks to a system Body Glove calls ‘Vaporlock’ for the seals. Underneath is a core made of an insulation material known as Thermofiber. The hood does a good job of keeping the noggin warm even in the low temperature – 14 degrees – of our test day. The matching booties are equally hardy, while the gloves slim down to a 5-mil thickness for dexterity. The latter really were excellent, with no flushing whatsoever that kept hands toasty. The design has folded-over tips to make pushing camera buttons and the like that bit easier. 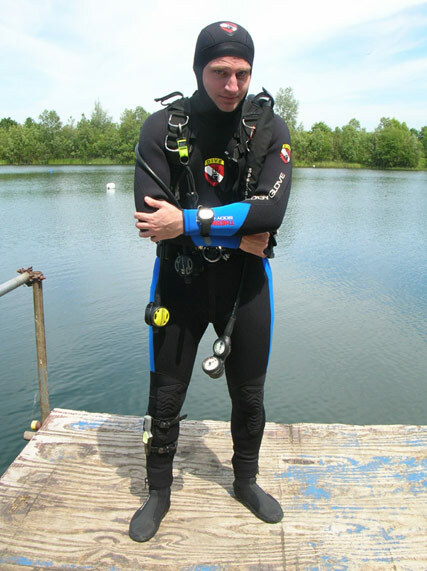 So should you consider a wetsuit for the cool green waters around our country? 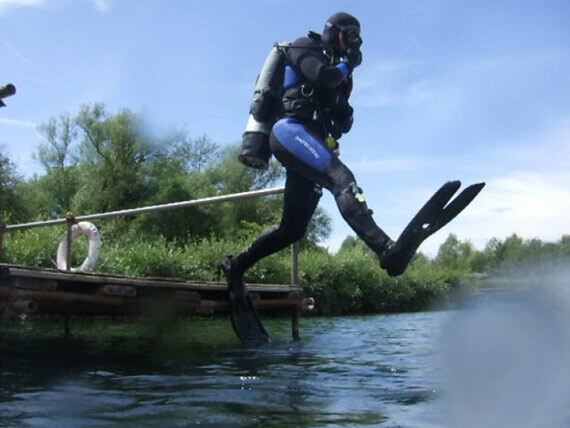 It really depends on how much you feel the cold, but for style and low cost, diving wet is hard to beat. 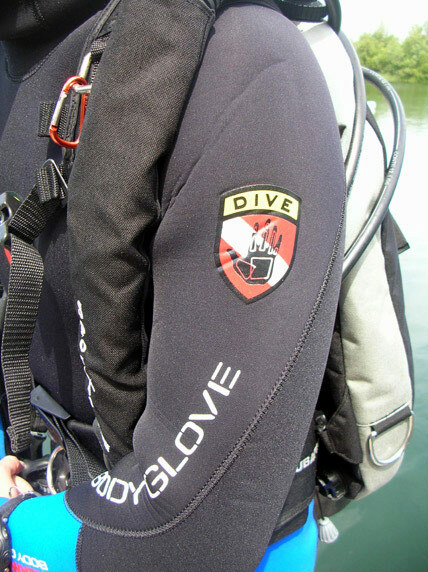 Should you be thinking of reverting to ‘wet’ diving in the UK, the new Body Glove range will ‘suit’ you perfectly.